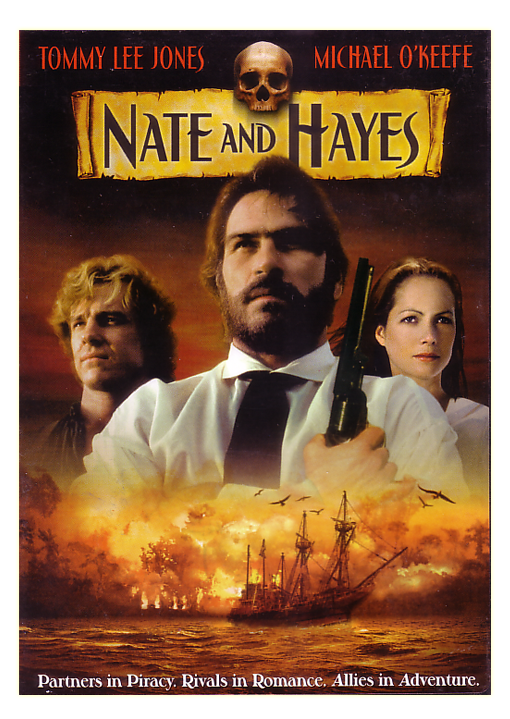 Nate and Hayes is one of those oft forgotten, semi-classics that’s very existence will surely surprise younger pirate fans – who knew that Tommy Lee Jones starred in a pirate film? (Wait until you learn that so did James Earl Jones, but that’s a future review.) Filmed in 1983, Nate and Hayes is a definite product of its time as it features a decent film effort combined with some wildly dated concepts. But if watched with a forgiving mind, it’s still an enjoyable film and well worth watching.